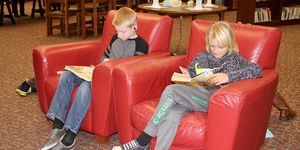 More than a place to check out a book, the ACS library is full of meetings with guest authors, book clubs and exciting read-alouds. Weekly storytime, getting comfortable with the library. 30 minutes of storytime and checkout. We read books that relate to the letter of the week. Special visit from Mother Goose. 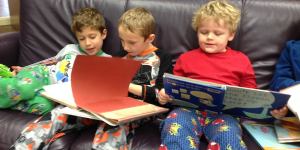 Read alouds, book talks and checkout. 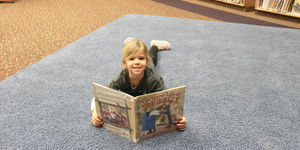 We host a three month Mock Caldecott program and have author visits. Students also meet Strega Nona and Amelia Bedelia. Read-alouds, book talks and checkout. Six week program Bring on the Books (BOB). 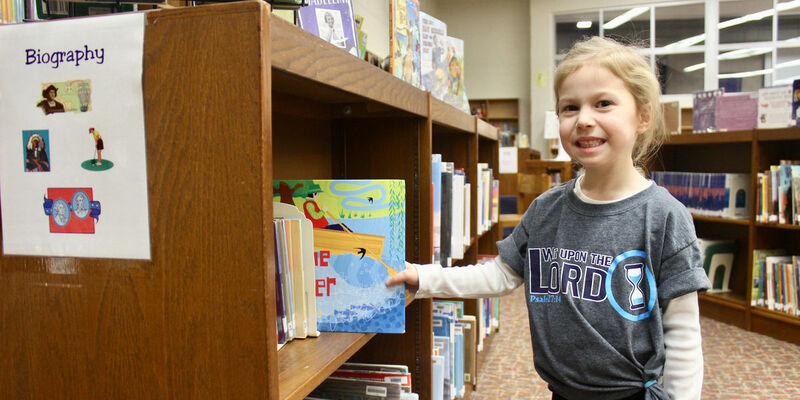 Students are encouraged to read 30 specified titles from a variety of genres. Students participate in the Mock Newbery program and Skype authors.